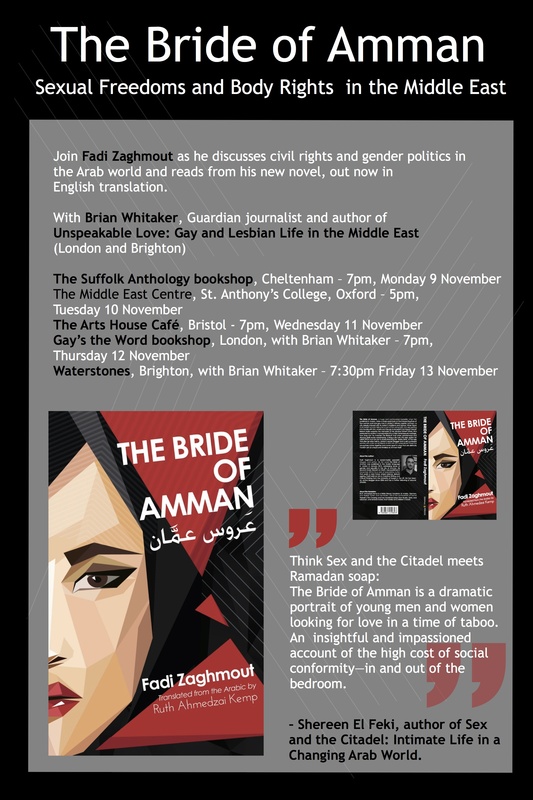 The Bride of Amman – upcoming UK tour! Join Fadi Zaghmout as he discusses civil rights and gender politics in the Arab world and reads from his new novel, out now in English translation. Thank you to all our hosts, and thank you everyone for helping to spread the word! Next Post → Starting off as a Jordanian blogger, I never dreamt of the day I will be launching my book in UK. And It just happened!